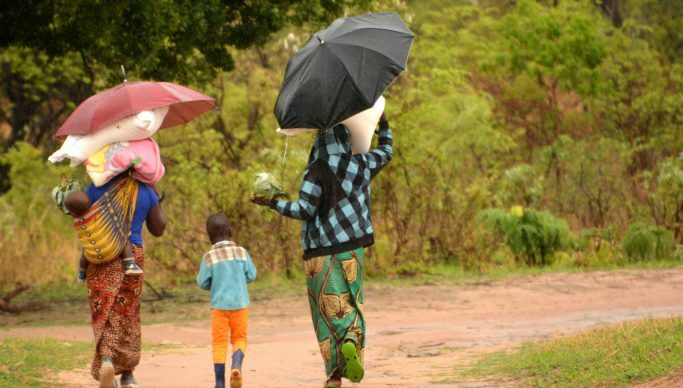 Sikongo District Commissioner Bright Tombi has appealed to the Disaster Management and Mitigation Unit (DDMU) to include the district on the list of beneficiaries for this year following the poor rainfall characterised in the area. Tombi said the district has been receiving erratic rainfall since the beginning of the 2018/2019 farming season, causing rice and maize fields to dry up completely. The DC made the appeal when Provincial minister Richard Kapita called on him at his office on Thursday. “Ninety-eight farmers have redeemed their inputs under the Farmer Input Support Programme (FISP), although most of them opted for farm implements such as ploughs rather than fertilizer due to the poor rainfall pattern being experienced in the district,” he said. He expressed fear that the shortage in the rainfall may cause a number of families to starve this year hence the need for DDMU to consider including the district on those needing relief food in future. And Kapita has assured Tombi that his office would work hand-in-hand with DMMU to assess the situation for possible relief support by government. Meanwhile, the DC has revealed that over 3,000 vulnerable people have benefited from the Social Cash Transfer Scheme in Sikongo.